Chloe Hamilton's piece on Zoella is basically the polar opposite to Holly's piece. Chloe is the type of writer that Holly is talking about. She obviously delighted in writing a piece with the sole purpose of attacking an individual for success she doesn't think they deserve and ruffling some feathers in the process. The article comes across bitter and attention seeking. Like she knew if she poked the beehive of Zoella supporters she'd get attention because that's what these communities mostly based online are like. And she was obviously right, I mean I'm sitting here writing a blog post about it when I should be doing revision! The small saving grace is that the comments in support of what she's written are very few and far between. But you know what they say, there is no such thing as bad publicity . The hypocrisy throughout the article was just baffling. She's talking about the damage Zoella is doing to young girls by 'prattling on about how to look good', after first attacking how Zoella looks and sounds. Does Zoella not deserve the same concern about her self-esteem as all these young girls Chloe seems so concerned about purely because she's a successful young woman in the spotlight? She also seems to be under the impression girls solely watch fashion, make up and hair tutorials because they have low self-esteem rather than because they enjoy it. And you can't make fashion, make up and hair tutorials without teaching young girls they aren't pretty just how they are. "The very fact that she tutors her young prodigies on how to get beauty and fashion right immediately discredits her belief that girls shouldn’t worry about the way they look." What baffles me more is Chloe Hamilton obviously enjoys beauty and fashion too as you can see from her photos with her pink hair, make up and obvious personal sense of style. So is she saying it's fine to be into those things, but you just shouldn't write/vlog about them? Because then it becomes damaging? When it comes down to it, the bit that annoys me the most is that since being part of this blogging community I have come across so many talented writers. 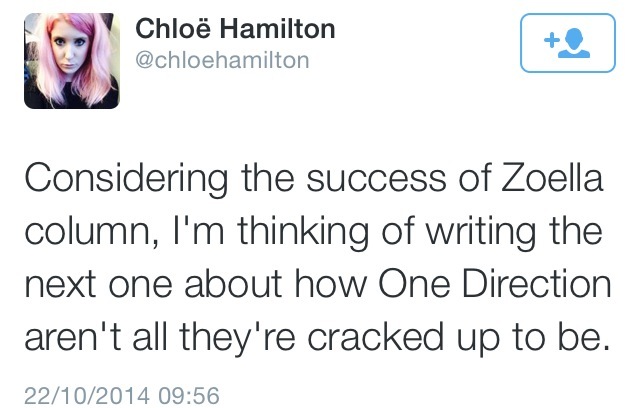 Talented writers without the kind of platform Chloe Hamilton has, who don't feel the need to tear others down. It's a shame we're talking about her and giving her publicity instead of those writers. And yes, I see the irony in that statement. Whether or not you agree with Chloe, spreading negativity in a hateful way whether you believe you're right or not doesn't do anyone any favours. It is perfectly possible to have an opinion or disagree with something without being nasty about it. At the end of the day I think we should all remember what Thumper taught us. Because it feels like some people have forgotten. Lovely post and message. I think we all have those moments where the little bitchy/negative voices make themselves heard in our head, but as long as we don't listen to them, or act on them that's all that matters. I hate seeing hate being spread online so much! Thank you! But yeah, we wouldn't be human if we didn't. But I agree, so long as we don't listen to them or act on them that's the important part. I hate it too, even more so that it feels like a bandwagon sometimes. People just jump on, like it's contagious. I'm glad to read another response post! I posted one too. Mine is along the same lines as yours, glad to see others share my view on it. 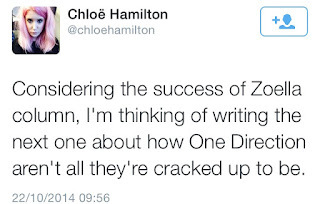 I just struggle with the fact that she attempts to discredit Zoe by saying she doesn't do enough to tell young girls they don't need to worry or feel bad about their looks and cover themselves in makeup but as a writer for a worldwide, credible newspaper with probably more than 6 million followers has failed to write anything at all on the subject herself, other than this scathing attack when she has the means to do so! I think I read yours last night. I was going to comment, but I must have gotten distracted. 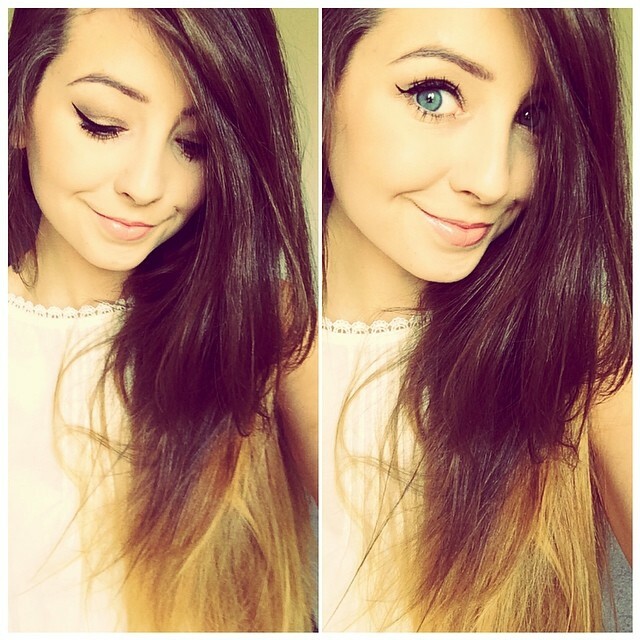 I've found it really refreshing how many people came out in support of Zoe, even those who don't watch her usually. But yeah, it was just overall bad. There was not one thing positive you could say about the article. And what annoyed me more was that to the writer it all seemed like a big joke after it. I think that's what's wrong with today's society. People think they can say whatever they want about people and never think about the fact it's an actual person they are attacking or how that person might feel. And it's even worse when it comes to those in the public eye. It's horrible. I really enjoyed reading your opinion on this and totally agree, people really shouldn't feel the need to tear others down. I felt exactly the same way before posting my opinion, I didn't want to give her the satisfaction of writing about her article, however it kept playing on my mind so I felt I had to do it. I agree, I think that's the best thing to come out of that whole fiasco. It was really lovely to see.